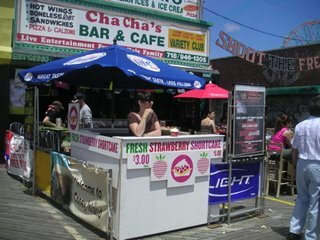 Today was a bit of a scramble, but we got out to Coney Island pretty early and spent the first hour or so drilling the ventilation holes ( it worked perfectly) and putting our canopy together, it's a little high, but wow does it make us feel more legit, our booth actually looks like a booth now. And I think we had our best day yet because of it. So many happy customers today. fisnish up with the booth and the sign? So many trips to Home Depot and Lowes in the past week.... i should get a discount card there or something. well we have been making a quite a few mods to the booth and are going to have a canopy this weekend that we will install today. so many things going on this week. we made this thing , earlier in the week for Global Inheritance and i had to do a quick poster for the African Game/ Andrew Dosunmu photo show next week at The Rotunda Gallery in Brooklyn . it's been a bit hectic but always worth it... see you at the stand. crazy day - so unorganized. 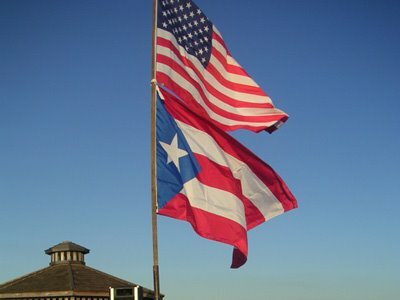 It should of been one of our best days yet since the boardwalk was crowded with people celebrating Puerto Rico Day. However, We woke up late (we were so exhausted from the week) got ready.... had to stop at jetro on the way out. got to coney island and realized that we forgot the red tips to the whipped cream machines (we need these to dispense it) ran to the local store bought two cans of ready whip. dan went back to coney island shortcakes and i hopped in the car to go home to get tips..... much time later..... i remembered that i gave my house key to mark (upstairs neighbor) so that he could plant tomato plants in the backyard .... back to coney island... got key... back home.... got tips and headed back.... dan was very stressed turning people away because he had run out of ready whip. not such a great shortcake day. NOTE: make a check-list next week. I'm starting to realize what is going to make this shortcake business so fun for us. The people: a passerby that turns into a customer at the sight of strawberries and whip-cream, The locals and other shop owners that stop by our booth to say hello and welcome us to Coney Island ( there are not to many new businesses being started here every year), and our friends that come out to support our little business. I know we will get to know so many people over the course of the summer. Some will become good friends, and others will only stop by the booth once and never return, but the idea that they are all there because of strawberry shortcake and (hopefully) all of them will leave our booth with a smile on their face and some strawberries, whip-cream, and shortcake in their bellies is pretty awesome. Cheers to some decent weather! The weather has finally broke here in Brooklyn, it's Saturday and sunny again. It is a little windy and a little cooler than it should be for this time of year, but it looks nice out and that's more than i can say about the last week and a half... Yesterday was a long one, we spent all day rebuilding the cart, followed up by and evening of cutting and sugaring strawberries. 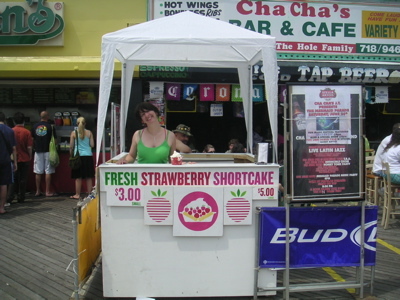 but, for the most part we are ready to sell strawberry shortcake on the boardwalk of Coney Island. So again, if you don't have anything to do this weekend and want to eat the best strawberry shortcake this side of the Mississippi come on out and say hello. This week has been pretty rough to say the least. It has literally been raining, sorta raining, or threatening rain all week. Obviously the weather has been making our motivation level pretty low since our business depends on favorable weather. In an attempto remain sorta productive we have been taking care of a few things for some of our other endeavors and dealing with a few things around the house. We have been printing a few things for www.sherbertmagazine.com , ( which is returning from the printer next week) and rearranging and cleaning the house and trying to get motivated to re design/ re build our booth. 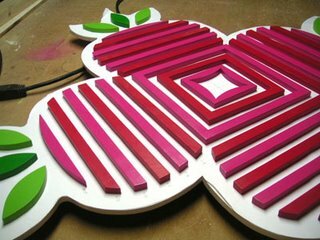 We have gotten a few shortcake related things taken care of though, we finally found strawberry slicers! we put together our industrial shelf to hold all of our shortcake related stuff at the house and got that pretty organized. Oh another thing we haven't mentioned yet but is a bit of a big deal. Anna, our shortcake baker, went back home to Italy yesterday for a bit. She says she will be back but is not 100% sure if immigration will let her back in the country.... I blame George Bush.... 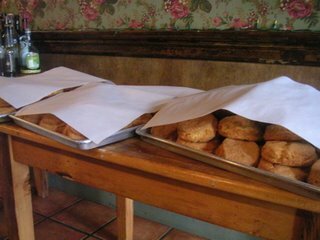 However, because she knew she was leaving she did bake us a few hundred more shortcakes so we are stocked up if she has a tough time getting back. Thanks Anna you are the best! today is cart re-building day! 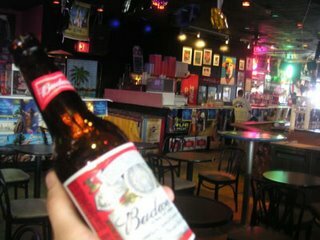 pray for sun everyone, and come out to coney this weekend, we'll be there! Last night we made the descision to put our couch on the curb (no takers on the craigslist) and go to Home Depot and buy a freezer. It's just a little guy, but should work out greaat for what we need. After a hugely successful weekend, we are going to take a little break to regroup and take care of some obligations. My cousin is getting married this weekend so we won't be out there this Saturday or Sunday, and we were going to be out for a few days this week, but a one of my best friend's father passed away, so we are heading upstate tonight to pay our respects. Wre are going to be reworking our booth, shortening it..... and finishing off the cosmetics of the whole thing nearly next week so keep a look out for some posts soon.